Archenemy of E.D. Cope in the Great Bone Wars of the late 19th century, O.C. Marsh was born to humble origins. His mother died when he was just three, and his father was satisfied to see the boy grow up to be a farm hand. Lucky for Marsh, he had a millionaire uncle, George Peabody. Perhaps encouraged by an aunt, he enrolled in Phillips Academy, and when his favorite sister died, the young Othniel got serious about using his time on Earth wisely. Thanks to his uncle, he Marsh enjoyed just about the best education money could buy. He attended Yale University, and eventually became head of the university's Peabody Museum, as well as the president of the National Academy of Sciences. When Marsh entered the field of paleontology, the science was done by amateur gentlemen scholars who observed unwritten rules of good manners. But he was businesslike, aggressive and, at times, ruthless. He gained a reputation for directing excursions from his home in New England rather than venturing into the field himself — a pity since he was said to be in his best temper while in the field, but a relief since he wasn't known to be particularly good at finding fossils. After Marsh's favorite niece, Julia, had a baby, Marsh wrote to her husband that he wouldn't trade a "fossil baby" he had recently acquired for a dozen babies like Julia's. Marsh could be pretty clumsy socially, and science writer Richard Conniff speculates that, were Marsh alive today, he might be placed on the autism spectrum. But unlike Cope, Marsh was sensible enough to get along pretty well with powerful people. People with less clout didn't worry him much. Many discoveries credited to Marsh were actually made by his field associates, such as Arthur Lakes and Benjamin Mudge. But Marsh didn't often mention assistants' names in his papers. Nowadays Marsh is often maligned for having been a hack and just not a very nice guy, but he made significant contributions to science. In the 1880s, British paleontologist H.G. Seeley classified dinosaurs as "lizard-hipped" and "bird-hipped" and even argued for separate origins of these lines, but Marsh found nearly 20 features among dinosaurs supporting common ancestry of the entire group. Your work on these old birds and on the many fossil animals of N. America has afforded the best support to the theory of evolution, which has appeared within the last 20 years. In short, the political and/or personal battle he waged with Cope resulted in one of the greatest discovery booms in the history of paleontology, surpassed only by today's abundance of fossil finds. Marsh-Cope feud also resulted in the occasional blunder with multiple names assigned to one species or genus. Digging in the Morrison formation in 1877, Marsh's field team found big fossils that Marsh named Apatosaurus ajax in honor of the Greek hero. In 1879, his crew found another fossil giant that he named Brontosaurus excelsus, meaning "noble thunder lizard." In the early 20th century, paleontologists concluded that Apatosaurus and Brontosaurus were the same genus. In accordance with the rules of nomenclature, the first instance of the named species won the day, so Brontosaurus excelsus became Apatosaurus excelsus, though the thunder lizard's genus name remained more popular with the general public (and the U.S. Postal Service) for many years. Marsh could be hasty in naming, but in this case, perhaps the best-known example of incautious research, he was vindicated. In 2015, a team of European paleontologists published the results of their in-depth analysis of Diplodocidae — a taxonomic group including Brontosaurus, Apatosaurus and Diplodocus. The team analyzed almost 500 traits from dozens of of specimens and concluded that Brontosaurus merited its own species classification after all. In between naming new species, Marsh became one of the first major proponents of Darwinian evolution west of the Atlantic. He also advocated for Native American rights when few others would. According to a treaty between the U.S. government and the Sioux Nation, the Sioux could claim all of western South Dakota, including the Black Hills, which the Native Americans considering sacred. Then someone found gold in the Black Hills, and the deal was more or less off. Military officers accompanied gold-diggers into the area. At an Interior Department's installation, Sioux warriors transformed the flagpole into slivers. It was into this uneasy situation that O.C. Marsh arrived to hunt fossils. Right away, he asked to meet with Sioux Chief Red Cloud. Marsh convinced Red Cloud to let him prospect for old bones and, in return, he promised to get Sioux grievances addressed. The Bureau of Indian Affairs was expected to provide rations to the Sioux Nation, but the supplies, Marsh learned, included rotten food that no one could eat. Corruption in the agency apparently led to skimping on supplies. For all the assistant fossil hunters he mistreated, Marsh kept his word to the Red Cloud. Convincing Washington to clean up the Bureau was a slow and frustrating process, and Marsh even confronted then-president Ulysses S. Grant. When that didn't work, the fossil hunter took his story to the newspapers, eventually winning widespread sympathy and forcing reform. Marsh is better remembered, however, for his no-holds-barred war with Cope. Early in the war, in 1868, Marsh surreptitiously paid quarrymen in Haddonfield, New Jersey, to send fossil finds to him after Cope had naively shown him around the digs. Late in the war, in 1889, Marsh arranged for an audit of Cope's fossil collection, with the aim of having the man's fossils confiscated and government funding cut off for good. The move had the intended effect; Cope was basically ruined financially. But Marsh singed himself with the furnace he lit for Cope. Cope had long been building a case against Marsh, and he turned the dirt over to The New York Herald. In the ensuing scandal, Congress eventually cut off funding for the U.S. Geological Survey and, consequently, for Marsh. 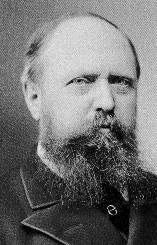 He outlived Cope by two years, dying in 1899 at the age of 67, but he was a broken man. Marsh was born poor, and he died poor, with just $186 in his bank account when he took his last breath.